This section provided a large selection of already made materials. Everything is prefab and ready to print out and go. Subjects included were ARTS, WRITING, MATH, LITERATURE. This is a one stop shop to browse for topics that fit a need in your homeschool. 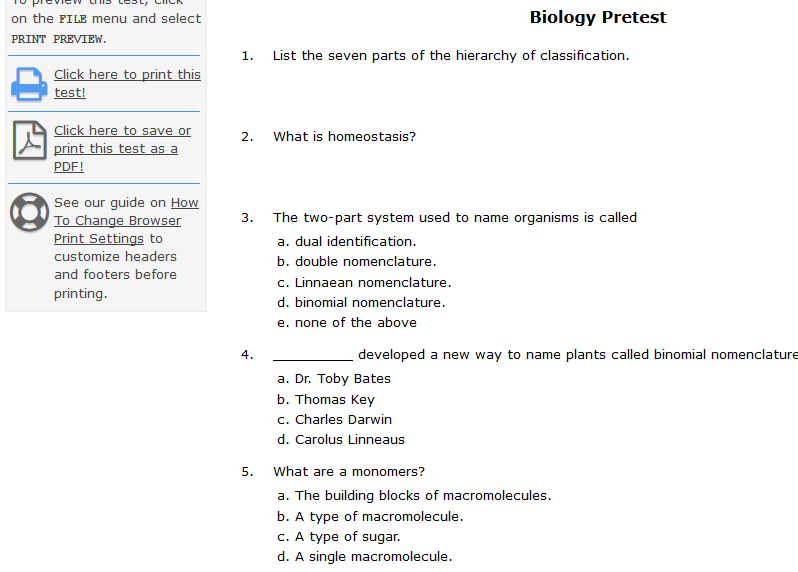 An online test generator. You have the option to search for questions based on subject material and add them to your test or to provide your own questions. This is the teacher's section where you can assign work to your student either test or lessons. For this review our focus was on the upper grades even though the plan came with access to all levels. We used this as a supplement to the subjects we were already doing. When we started this program we were in between math curriculum so I used the premade worksheets to get a feel for where my 10th grader was in Algebra. I also used the 8th grade math to see if my 13 year old knew some of the topics listed - for him it was just to see what he knew. Each week I printed out some worksheets to fill in gaps in our regular studies in history and math. Another thing I used this program for - and perhaps my favorite part- is to create a test. I did this as a pretest for our learning but it is intended to be used to make actual test. It was so EASY to use to generate the test. I just searched for key words in the data base and was able to add them to my son's test. I was also able to add some of my own questions with the ones I found on the site. 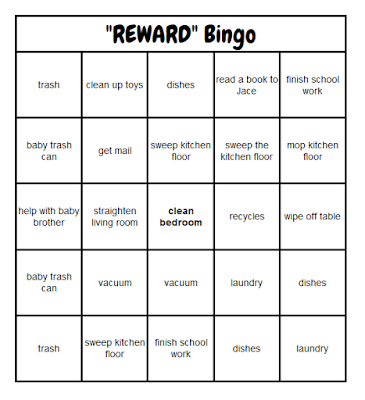 Lastly, for fun I made a chore bingo for each of my older boys. We used this to motivate them to help around the house. If they get 3 bingos they get to choose a small reward and coverall was a bigger reward. Both of my bigger boys loved this - as I don't normally reward them for helping out around the house. The bingo I made for fun for my bigger boys! Overall I felt like this was a fairly unique product. I liked being able to pull from all grade types - which is a true plus when having multiple ages like I do in my house. The test generator was by far the best part because of the ease of use and having that ginormous data base to pull from. Another plus for me was that printing off this site was a breeze. I never had a hiccup or snag in that area. 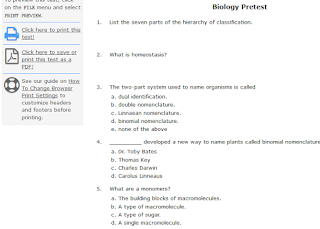 All the worksheets and test had answer keys which made them very easy to use and incorporate into my homeschool. The only thing that didn't work well for me was the online test taking and scheduling of lessons. It was a little complicated to figure out and with printing giving me a hard copy and being so easy I just stuck with that option. I imagine the more techy people would absolutely love this feature but I'm a paper and pen girl at heart! Want to know more? Then Click on the banner below to see what the other Crew Members think about HelpTeaching.com. 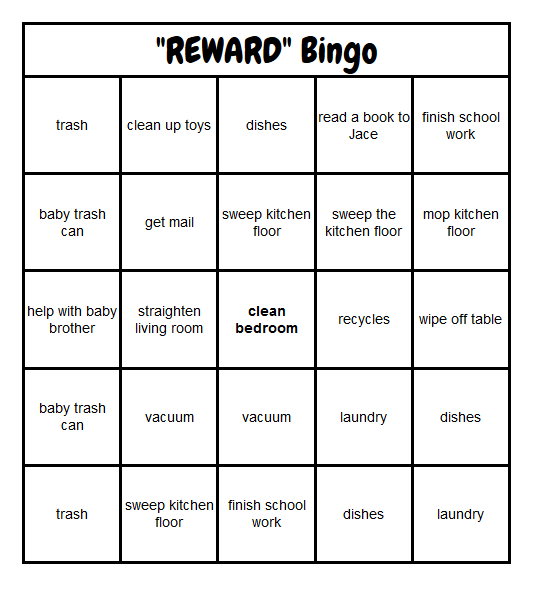 I love the chore bingo! I may have to try that.